Black Cloud: The Deadly Hurricane of 1928 now available! Lee Ann is proud to announce that her latest recording is now available from Audible. 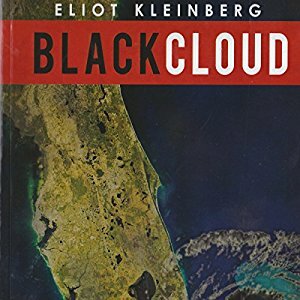 Black Cloud: The Deadly Hurricane of 1928 was written by journalist and author Eliot Kleinberg. This nonfiction book covers a part of Florida’s history that should be remembered. The deadly hurricane of 1928 claimed 2500 lives, and the long-forgotten story of the casualties, as told in Black Cloud, continues to stir passion. Among the dead were 700 black Floridian men, women, and children who were buried in an unmarked West Palm Beach ditch during a racist recovery and rebuilding effort that conscripted the labor of blacks much like latter-day slaves. Palm Beach Post reporter Eliot Kleinberg has penned this gripping tale from dozens of interviews with survivors, diary entries, accounts from newspapers, government documents, and reports from the National Weather Service and the Red Cross. Immortalized in Zora Neale Hurston’s classic Their Eyes Were Watching God, thousands of poor blacks had nowhere to run when the waters of Lake Okeechobee rose. No one spoke for them, no one stood up for them, and no one could save them. With heroic tales of survival and loss, this book finally gives the dead the dignity they deserve. The new, updated edition of this important book is published by the Florida Historical Society Press. To listen to a sample and/or purchase the book, please click here. Posted by lahowlett on February 7, 2017 in Uncategorized and tagged 1928 hurricane, audiobook, Black Cloud, Black History, Eliot Kleinberg, Florida, Florida Historical Society, Florida history, hurricanes.